Both Tonopah High School and Tonopah junior wrestlers attended wrestling camps in three different states in an attempt to improve their craft. 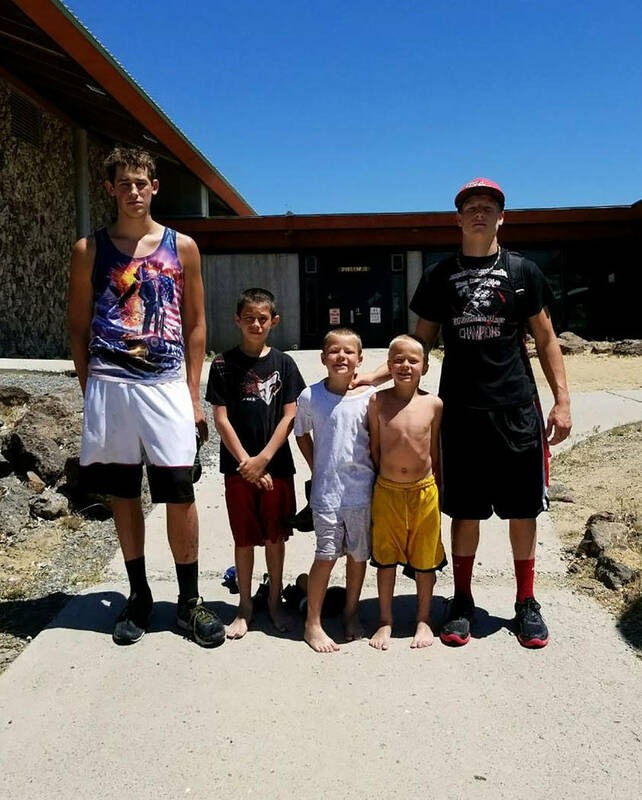 Penny Otteson/Special to the Pahrump Valley Times Tonopah wrestlers attended camps in three different states in an attempt to hone their craft. A total of 10 different kids attended camps in California, Missouri and Utah. 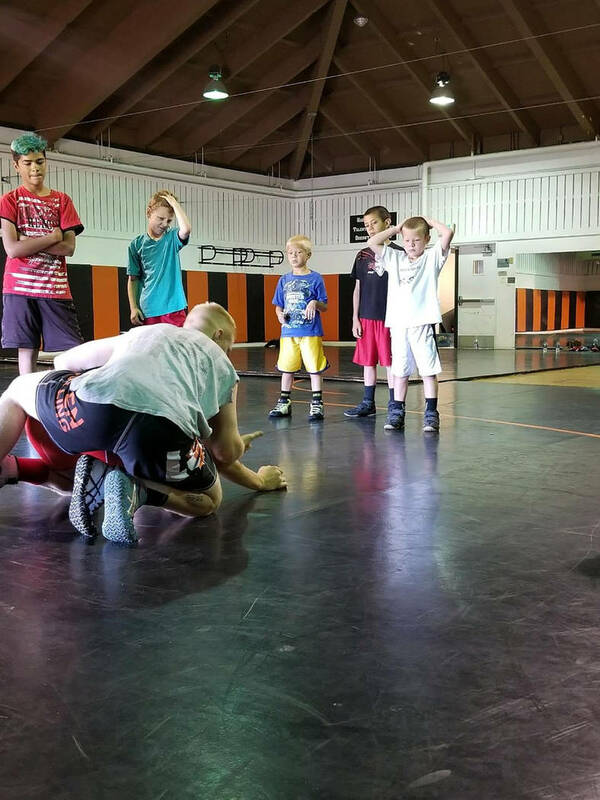 Penny Otteson/Special to the Pahrump Valley Times A total of 10 different kids attended recent wrestling camps in California, Missouri and Utah. A total of ten different kids attended camps in California, Missouri and Utah. The first camp that was attended was the world famous Purler Wrestling Academy in St. Louis, Missouri a two-week camp that is called the Three Position Camp specializing in leg riding. 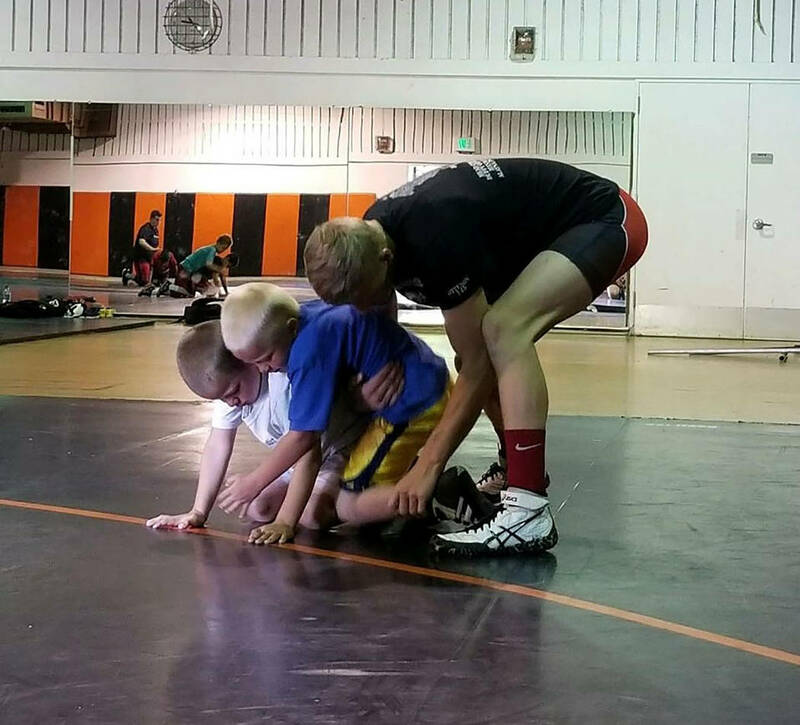 “Leg riding is an area of wrestling that our kids need to work on a lot, and that is why we sent them to this camp,” said junior and high school wrestling coach Duffy Otteson. Tonopah high school wrestlers Austin Leach, Dillon Otteson, Matt Melendez and Damion Pace attended the Purler camp. Another camp that only the Tonopah High School wrestlers attended that lasted four days was the very popular Vector Camp in Orem, Utah. Many of the top wrestlers in the world and United State Olympians were coaches at this camp, some of the camp coaches were Jordan Burroughs, three-time World Champion and 2012 Olympian; Brandon Slay, 2000 Olympian and NCAA All-American; Bryce Meredith, two-time NCAA All-American; and Ethan Lofthouse, two-time NCAA All-American. “The boys really enjoyed this camp and got to meet some of the best wrestlers in the world,” said coach Otteson. Attending the Vector Camp were Dillon Otteson, Austin Leach and Brian Faucet. And finally, the Tonopah Junior and High School wrestlers attended the Lassen College Wrestling Camp in Susanville, California, where last season’s Tonopah Mucker State Champion wrestler Tanner Otteson will attend next season. Attending the Lassen College camp were junior wrestler Dustin Otteson, Drew Otteson, Tanner Otteson and THS Mucker wrestler Kevin Pope. Tanner Otteson also attended and was part of the coaching staff for the camp. This was a four-day intensive camp where they worked on all aspects of wrestling and each day focused on a different segment of grappling. The camp was coached by Lassen College Head Wrestling Coach Francis Beaujon, along with current Lassen College wrestlers. “The kids really enjoyed the camp and I enjoyed helping as a coach with the staff,” said Tanner Otteson. “Attending camps like these are what is going to make our high school program better in the future; we hope to have another camp here in Tonopah in July.” Information will be out very soon for this camp, Coach Otteson said. Finally, the Tonopah Junior and High School wrestlers would like to thank all the people and sponsors who donated to make these camps possible.